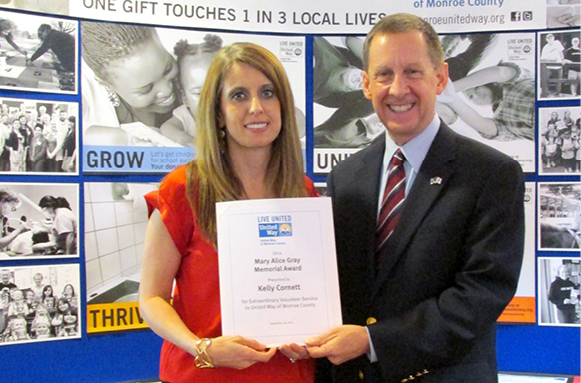 In 1989, the Board of Directors of United Way of Monroe County created the Mary Alice Gray Memorial Award for Extraordinary Service to United Way. Mary Alice Gray served on the Board of Directors from 1978-1983 and was President during 1980 and 1981. 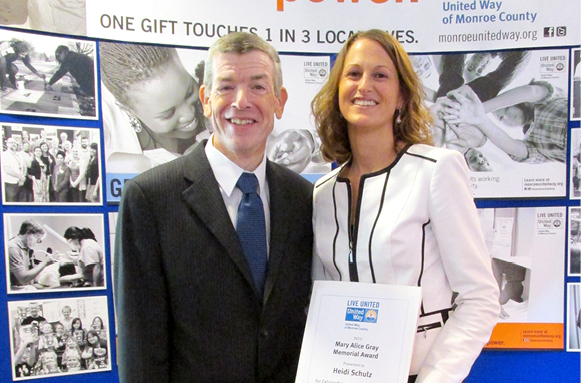 This annual award is given to United Way volunteers who best personify the dedication and commitment of Mary Alice Gray. 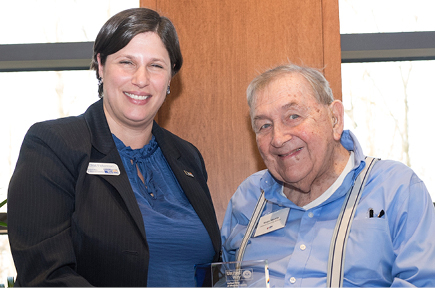 Wain Martin was presented with the Mary Alice Gray Memorial Award for extraordinary volunteer service during the 2017-2018 Campaign Celebration. 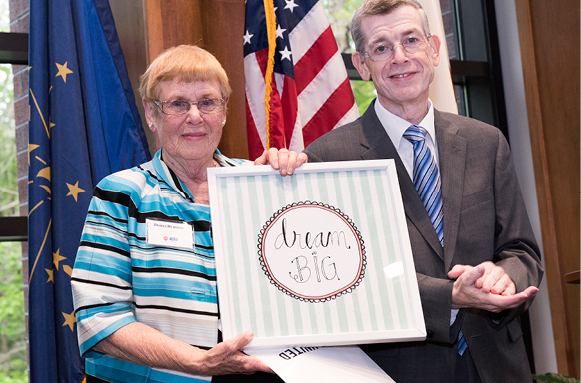 Doris Burton was honored with the 2017 Mary Alice Gray Memorial Award for extraordinary volunteer service at the United Way of Monroe County "Empowering Your Community" Campaign Celebration. 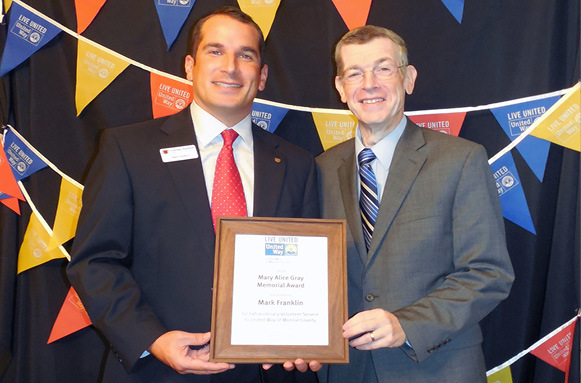 Kelly Cornett, 2014 Mary Alice Gray Award Winner, with Kirk White, IU Campaign Manager.